couple looking for a bit more privacy and tranquility. 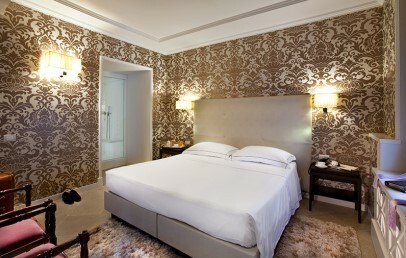 Worth to mention are the posh style of the luxury rooms and the refined St George Restaurant. A centenarian park, one of the most beautiful historical centers of Sicily and a view that embraces the Ionian Sea and its coasts: these are the unique coordinates of The Ashbee Hotel. Its enviable position allows you to enjoy the beauties of the city of Taormina and, at the same time, cut out the privacy and relax in the beautiful Mediterranean garden that surrounds the hotel. Numerous are the sites of historical and artistic importance and attraction, the shopping streets or the tours at the Etna’s natural reserve or at the baroque centers of Noto, Ragusa and Modica. The 1900 luxurious villa that now houses the luxury hotel, brings the signature of the architect Charles Robert Ashbee, an icon of the London's Arts & Craft. The hotel pays homage with its name to the unique work of art, a style that comes from a different culture, but that blends with the architectural elements typical of the greek-sicilian style. The Ashbee Hotel was born from the careful renovation that preserves the original materials and furnishings. The rooms are elegant and refined with paintings, decorations and stone fireplaces. The large panoramic terrace, swimming pool and the park characterize the exteriors of the hotel. Different room types are available at The Ashbee Hotel – Superior, Deluxe, Suites and a unique The Ashbee Suite, for a total of 24 accommodations. 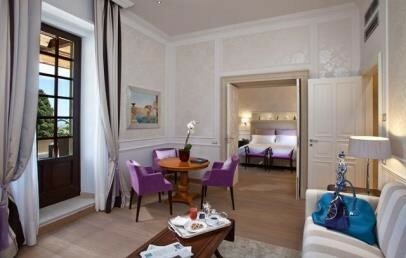 Welcoming and precious, the rooms are ideal for everybody’s fancy and for a unforgettable stay in Taormina. Superior rooms are cozy, comfortable and tastefully decorated. 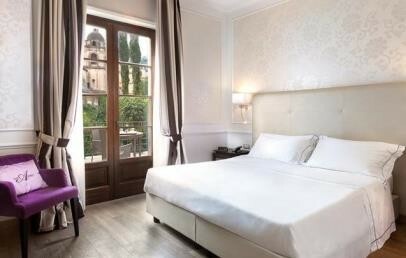 Deluxe rooms are spacious, equipped with wood flooring and offer a nice view over the garden from the private terrace. The spacious Suites are all unique and extraordinary, have different characteristics as their names suggest: Spa Suite, Montgomery Suite, Painter Suite, Honeymoon Suite and Family Suite. The Spa Suite has a living room with stone fireplace, a private hammam with emotional shower and a bathroom with whirlpool. The Montgomery Suite is characterized by circular windows and the soft cushions from which to enjoy a wonderful view over the garden and partial on the sea. The large living room has a stone fireplace, and distinctively British upholstery and draperies. The Suite del Pittore (Painter Suite) is the artistic suite distributed on two floors. On the ground floor you will find a large living room with a bar overlooking the garden and on the upper floor, there is a cosy bedroom. The furnishings consist of antique furniture, precious rugs and elegant wallpaper. The Honeymoon Suite is perfect for honeymoons, anniversaries or other important occasions. A majestic dwelling for romantic and intimate moments. The Family Suite is ideal for those who are travelling with their family. 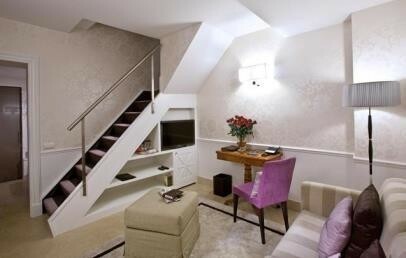 This Suite gives the chance to accommodate up to five people and it enjoys a private entrance and a small private garden. 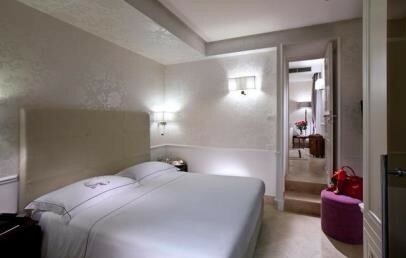 The spacious rooms, the discretion and comfort will make you feel at home. The Ashbee Suite is the real jewel of the hotel. 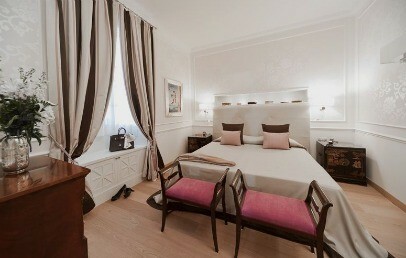 It is the largest and the most luxurious among the Suites, charming in every detail and fully covered with parquet. Equipped with a terrace with sea view, large closets, two bathrooms with a precious stone sink, bathtub and shower. The area of Taormina offers different beaches, reachable by car in a short time. Recommended beaches are those of Isola Bella and the Lido of Mazzarò as well the seafront of Letojanni and Giardini Naxos. Guests can have breakfast or a cup of tea at The Ashbee Bar. A friendly atmosphere in perfect English style will make you feel a special guest, pampered and spoiled in every request. The St George Restaurant is instead characterized by a refined atmosphere and offers Sicilian and Mediterranean traditional recipes. It consists of an elegant dining room and a sea view terrace. It is necessary to book in advance and it is suggested you to dress for dinner but jackets and ties are not essential. An amazing panoramic view and delicious appetizers await for you at the Roof A'Terrazza Bar. Finally, for light lunch and snacks it is open from June till September, there is the Pool Bar. 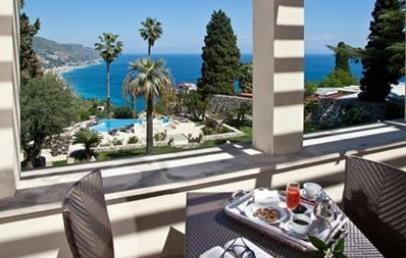 It is located next to the swimming pool in the shade of olive trees and overlook the sea. Available for the guests there is a swimming pool for those who wish to relax or walk in the park surrounding the Villa. Wi-Fi connection is free and it can be easily done from the room. The Ashbee Hotel usually hosts some valuable artworks in conjunction with festivals and exhibitions. The qualified and dedicated staff is at your disposal for suggestions and bookings at theaters, museums and guided tours of the major points of interest. City tax – of € 5,00 per person/overnight (exempted children under 12 years) for a maximum of 10 consecutive nights to be paid on spot. Superior double rooms located in different parts of the hotel. The Superior rooms are intimate, cosy and bright. They are tastefully decorated in a style that combines the glamorous and the elegance of ancient times. 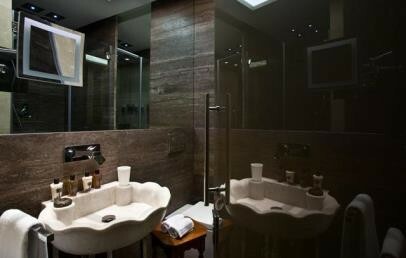 The bathrooms are equipped with a make-up mirror, a weighing scale and bath essentials with either tub or shower. The offer either a window or a patio with view on a inner part of the hotel. Generous, bright and cosy double rooms located on the first floor. They are tastefully decorated in a style that combines the glamorous and the elegance of ancient times. Furnished by a wood-block floor and a private bathroom with tub and/or shower, a make-up mirror, a weighing scale and complimentary toiletries. 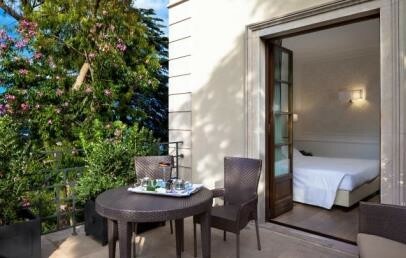 The Deluxe rooms offer a private terrace with nice view over the garden. Different Suites that offers generous sizes and are welcoming and bright. They are characterized by a modern elegant décor. Each Suite is characteristic with a unique layout and a distinctive decoration. They consist of two environments, differently distributed depending on your needs. 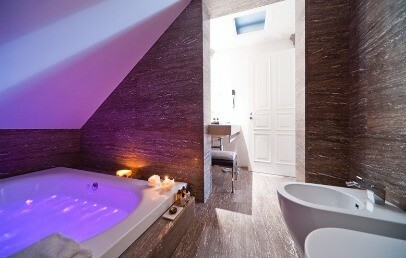 One or more bathrooms with bathtub or shower, a make-up mirror, a weighing scale and high class bath essentials. They are located on the ground, first or second floor and enjoy either view on the garden or on the San Pancrazio church, except the Family Suite which overlooks the small private garden. Some Suite may have a balcony. The most exclusive Suite of the Hotel, elegantly furnished with parquet floor and a comfortable, sapcious lounge area decorated with some beautiful antique pieces of furniture and original paintings. The upper floor is accessible by lift. 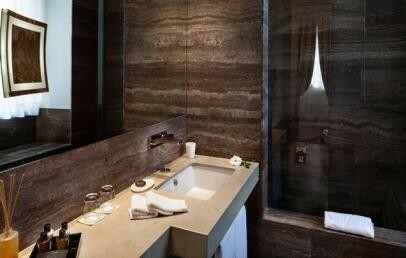 The Ashbee Suite has two bathrooms, with noble stone sink, bathtub and shower. A large terrace offers a view of the whole Ionian coast of Sicily.